On September 3, 2016, the U.S. and China renewed their GHG management vows, deepened them by making additional commitments, and formalized them by signing the Paris Agreement and submitting their signatures to the United Nations. Doing so is an important step toward global ratification of the Agreement, which requires 55 countries with 55% of global emissions. The U.S. and China emit 39% of global GHGs, representing the majority of the necessary emissions necessary to bring the Agreement into force. They join 24 other countries (total emissions are slightly more than 1% of global totals) that have already submitted their signatures. What Have the U.S. and China Agreed To Do? 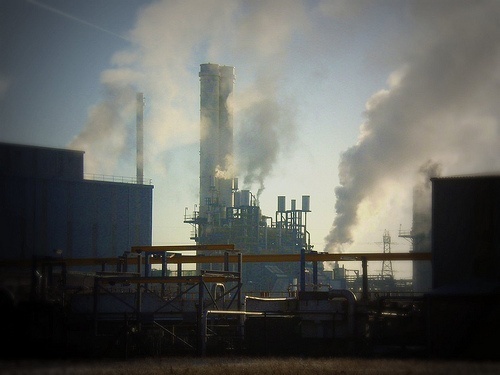 The US announced a target to cut net GHG emissions 26-28 percent below 2005 levels by 2025. China announced targets to peak CO2 emissions no later than 2030, and to increase the non-fossil fuel share of all energy to around 20 percent by 2030. Montreal Protocols - to reach agreement this year on an ambitious and comprehensive hydrofluorocarbon (HFC) amendment to the Montreal Protocol on Substances that Deplete the Ozone Layer with an early freeze date and ambitious phase down schedule, along with increased financial support to assist in implementation. HFCs are GHGs as well as ozone depleters (I blogged about the international negotiations here). Carbon emissions from aviation (about 2% of the world total) (I blogged about recent U.S. Environmental Protection Agency actions here). Additional domestic climate action. The United States highlighted actions including the extension of the production and investment tax credits for wind and solar, new fuel efficiency standards for heavy-duty vehicles, and efforts to finalize 20 additional efficiency standards for appliances and equipment by the end of the year. China highlighted plans to reduce CO2 and energy intensity by 18 percent and 15 percent, respectively, as well as to increase the share of non-fossil fuels in primary energy consumption to 15 percent by 2020. China also noted its commitment to start its national cap-and-trade program in 2017 and to promote green power dispatch to accelerate the use of renewable energy. This announcement is intended to add tangible weight to the two countries’ efforts to accelerate ratification of the Paris Agreement. Optimists assert that the 55 countries/percent ratification goal could be met during 2016 … while pessimists point out that the election of Donald Trump to replace Barrack Obama would drastically change U.S. enthusiasm for this issue. GHG-emitting activities, divided into “Scopes” 1 through 3, using approaches developed by the Greenhouse Gas Protocol Initiative (I blogged about these methodologies here. EPA requirements that large-volume facilities and fossil fuel suppliers calculate and report their GHG emissions – (I blogged about these rules here). Climate Change Adaptation Planning – (I blogged about one version of these plans here). Does the organization conduct formal evaluation of possible environmental impacts of its activities and programs, including individual decisions involving these activities and programs? Does the organization consider net GHG emissions associated with its activities and programs? Does the organization consider how changing climate may affect its activities and programs, including how it might alter them to reduce impacts and/or increase resilience?